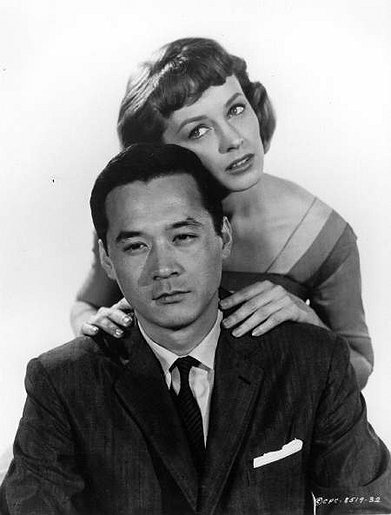 This collection takes a look at the film career of James Shigeta. James Shigeta is not just an Asian American actor, he is a leading man. During a time when Asian characters were still depicted in "yellow face", Shigeta broke ground as the star in films like "The Crimson Kimono" (1959), "Bridge to the Sun" (1961), and "Flower Drum Song" (1961). He not only took top billing, but he also heated up the silver screen by sharing on-screen kisses with his leading ladies. Born in Hawaii on June 17, 1933, Shigeta starred in over 20 films and made numerous television guest appearances in a career spanning nearly five decades. Other notable films Shigeta has worked on include "Paradise, Hawaiian Style" (1966) with Elvis Presley, "Midway" (1976), and "Die Hard" (1988). bokinaka — Atualizado em Fev 20 2019 8:54 a.m.